Optimisation is an increasingly crucial field for industry to drive growth and profitability. 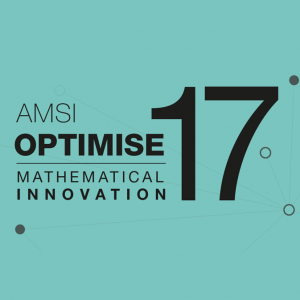 AMSI Optimise, the Institute’s newest flagship networking and research training event, was launched in 2017 to strengthen mathematical optimisation research collaboration and its applications across industry. Now in its third year, AMSI Optimise moves to Perth, bringing together industry leaders from the natural resources sector, academic experts and the nation’s current postgraduate talent. The event provides a platform to understand industry drivers and foster research collaborations, connecting business with Australia’s future workforce. 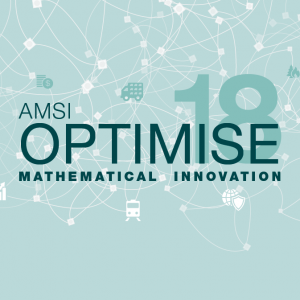 AMSI Optimise is an event focused on attracting specialist individuals in the optimisation space, providing a platform for industry to develop relationships with the higher education sector and connect with Australia’s future workforce. Your sponsorship support helps to ensure the success of this mission and build a solid industry base for future events.